When you are looking for a new commercial steam boiler system, you will expect a clean, efficient and safe solution that is compliant with all relevant regulations. At Viessmann, we provide high efficiency steam boilers that meet all of these requirements and are suitable for a wide range of production facilities. Whether you need a high pressure industrial steam boiler for a manufacturing facility, hospital or refinery, or a low pressure system designed for a bakery or laundrette, we will have a high quality, expertly designed solution that matches your precise requirements. Our Vitomax industrial/commercial boilers have design features that enable cost effective, futureproof steam generation, and our team will work in consultation with you to provide a tailor-made solution. As well as offering outstanding quality and high levels of operational reliability, our steam boilers have a long service life and are designed to meet and exceed both current and future emissions levels. Have some questions? Find your local commercial area business manager. Our low pressure steam boilers meet the needs for heating and air conditioning technology in a range of environments, and are equally suitable for both new builds and modernisations. Our Vitomax-HS high pressure steam boilers have a permissible operating pressure of between 6 and 25 bar, making them perfect in a variety of industrial settings. 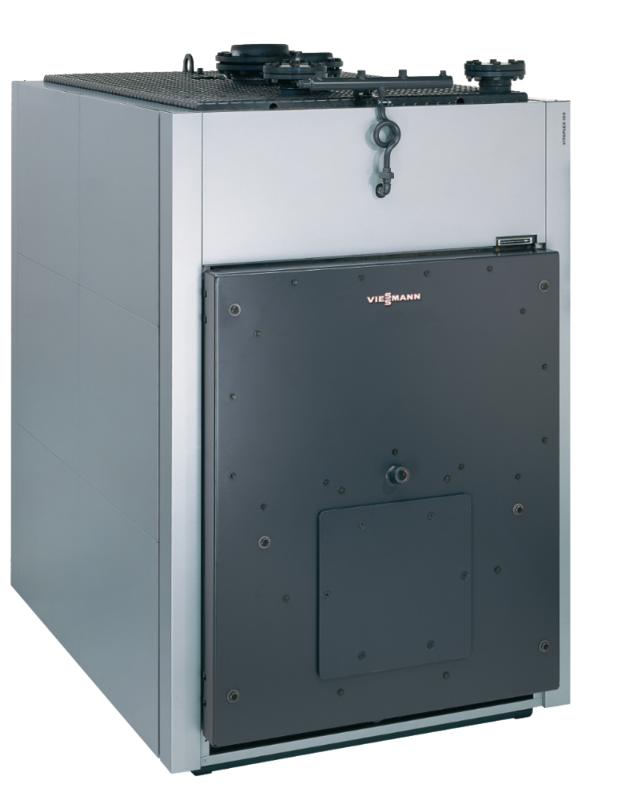 There is a solution to suit all requirements in the Vitomax family of industrial/commercial boilers. Whichever model you ultimately choose, you can rest assured that you’re benefiting from the best technology available. Along with their local partners, the experts in our commercial steam boiler team will prepare an effective, efficient and clean solution based on your individual requirements. They will ensure the design meets the needs of the Pressure Equipment Directive, as well as the country-specific regulations that apply to your business. This is true throughout the entire project lifecycle, from initial concept through to commissioning. 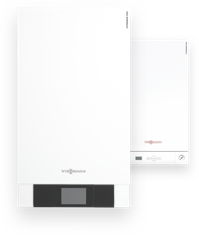 When you choose a steam boiler from Viessmann, you can be confident that you will get... an economical, clean solution that matches the needs of your business. We will undertake a consultation with you to ensure we fully understand your industrial heating requirements, and we will use the information you give us to develop a bespoke, futureproof solution that is based on your intended use. This means your new steam boiler should continue to meet your needs for many years to come. Tailor-made boiler system solutions for all kinds of commercial application. Our Vitomax steam boilers are the product of decades of experience in this field. We have been creating large commercial boilers throughout our 100-year history, meaning we are perfectly placed to ensure the highest levels of effectiveness, efficiency, reliability and durability. We provide two main types of steam boiler; these are low pressure and high pressure models. Low pressure boilers meet the requirements for heating and air conditioning technology in a variety of environments, including dry cleaners, nurseries and bakeries. These models provide an output range of between 0.26 tonnes and 2.2 tonnes of steam per hour. In contrast, our high pressure steam boilers have outputs of up to 26 tonnes of steam per hour. These appliances - which provide efficiency of more than 95.5 per cent and can be operated with LPG, natural gas or light fuel oil - are ideal for manufacturing premises in industries such as fertiliser production, paper manufacturing, food processing and drinks production, as well as pharmaceutical and chemical plants. They are also widely used in hospitals. 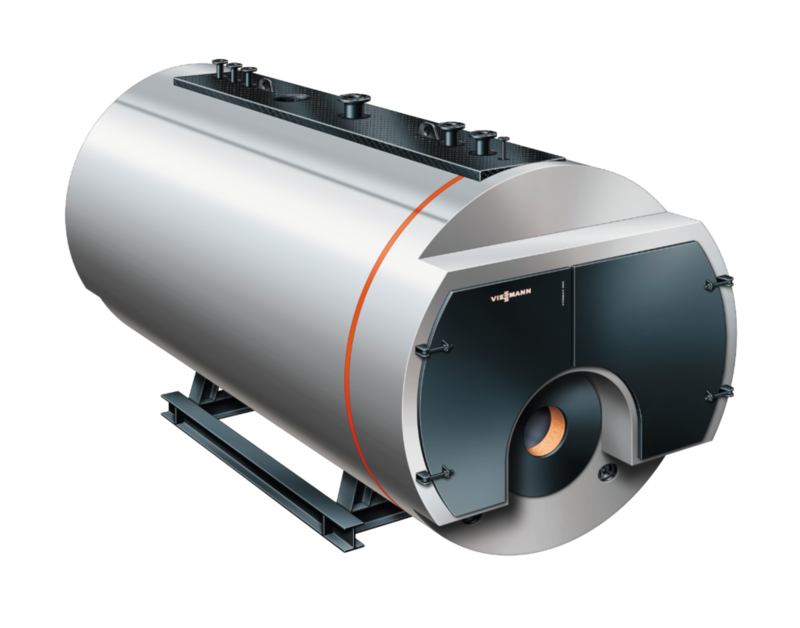 This compact three-pass low pressure steam boiler is designed for 1 bar operating pressure, and this can be lowered to 0.5 bar if needed. Designed for large industrial applications, the Vitoplex HS has an operating pressure that extends from 6 to 20 bar.